Beardstown, Illinois, a sleepy, Midwestern farm-town, bustles with excitement during Memorial Day weekend. This small town does its part to honor veterans; however, it is the annual class reunion that draws the crowd. Beardstown may be a small town, a population hovering at 6,000, but Alumni Weekend is not a small event. Each year Beardstown calls home alumni from up to 14 classes during Memorial Day weekend for reunion parties. With an estimated 500 to 1000 visiting alumni, Beardstown businesses experience a welcome boom. Motels that struggle to fill their rooms during the year are at full capacity, and demand skyrockets for local treats such as Benny’s pizza and the Riverview Restaurant’s fried catfish. For this weekend, alumni and cash registers are full, and everyone is happy. The Alumni Association is the key element in the success of Beardstown’s reunion model. The Association hosts the annual Alumni Banquet and Dance, to which all classes are invited. They supply each class with enough free invitation packets to urge everyone in their class to join the festivities. Packets include invitations to the Alumni Banquet and Dance, Chamber of Commerce update information and a postage-paid envelope. 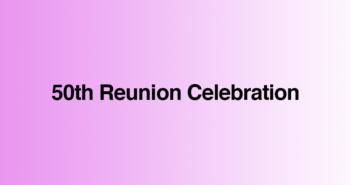 By paying for invitations and postage, the Alumni Association ensures that everyone in a class is invited and that there is a reunion event even if a class cannot fund an individual class party. This removes the incentive for classes to cut corners and lends stability to the event. “At this point, Alumni Weekend really runs itself,” says Frasier. 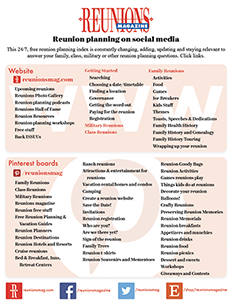 Planning begins in February, when the Alumni Association contacts class chairpersons to make sure the classes start planning their reunions. Then, invitation packets are printed and given to the classes to mail. Class chairpersons plan their individual parties, typically dinner and drinks at a local restaurant or bar. There are a limited number of Beardstown venues, so often two or more classes share. It is common for class chairs to reserve a party venue for the next reunion during the current one. As with the other elements of this model, if a particular venue works, then every effort is made to stick with it. The Alumni Banquet typically draws about 500 alumni and their spouses, and while some say the event lasts too long, it strengthens the community bond by bringing many generations together in one room to celebrate a common event. It is held in the high school gymnasium, and alumni enjoy dinner at tables designated for their class. The event is capped off with a “class response,” in which one member from each class welcomes and congratulates new seniors. The party then moves downtown for a dance complete with music spanning the decades. There is something for everyone. An effort is made to keep costs low so it is not a financial burden for alumni to participate. In 2007, the banquet and alumni dues totaled $17.50, and class parties ranged from $10 to $20 per person. “When you have two people attending, the costs do add up, but then again you have to remember it is only once every five years,” Frasier adds. The Alumni Association funds the banquet and dance with alumni dues ($5 every five years), banquet tickets ($12.50) and donations. They also have a 50/50 raffle drawing at the banquet to raise additional funds. Beardstown is changing with the world and is becoming less isolated and more diverse. According to census data, the Beardstown’s population of Hispanic immigrants grew from less than one percent in 1990 to 17.9% in 2000. Graduating classes are growing with the influx of newcomers, but reunion attendance appears to be dropping off. Many of the new graduates do not have the same multigenerational connection to the town as past classes. “I think there is less of a connection to Beardstown for many kids,” says Frasier. She hopes that they will find a way to keep the tradition alive. 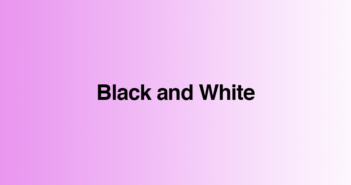 Allison Schurman is a freelance writer living in the San Francisco bay area. 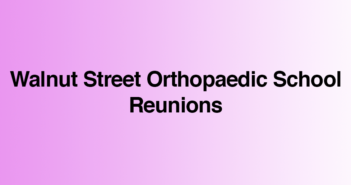 In May she will return to Beardstown, Illinois, to celebrate the Class of 1988’s reunion alongside her grandfather, a Class of 1938 alumnus. When she is not writing, Allison enjoys running, traveling, and caring for her two dogs.